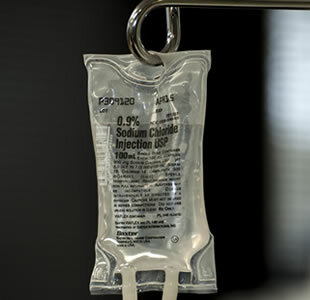 The Office Infusion Center (OIC) offers outpatient intravenous therapy under the direct supervision of our physicians. Patients find that outpatient treatment is much preferable to being admitted to the hospital for the same course of treatment, especially because it allows them to go about their normal routines while receiving therapy. The suite is equipped with relaxing recliner lounge chairs, individual TVs, and complimentary refreshments. A registered nurse is available to answer patient questions 24 hours a day at 404-297-4988. The Office Infusion Center is conveniently located in Suite 325, immediately adjacent to the offices of Infectious Disease Specialists of Atlanta (Suite 330). OIC hours are 9:00 AM to 5:00 PM, Monday through Friday.